Wearable baby monitors are meant to give parents peace of mind. However, that peace of mind relies on trusting the device to actually deliver accurate information. 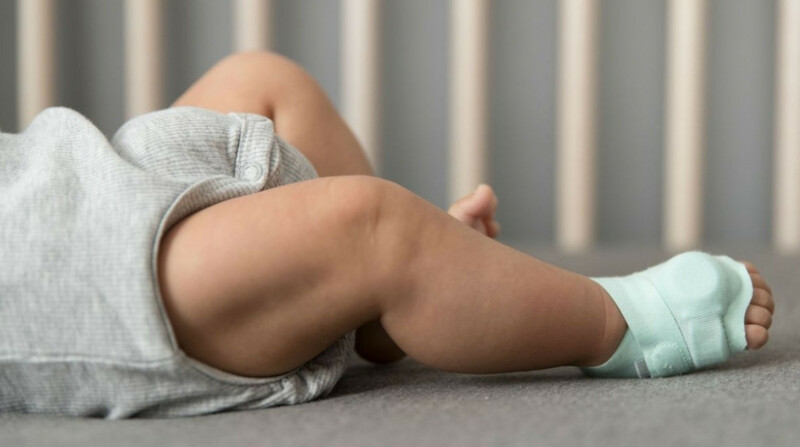 These wearable baby monitors may be missing key vital signs, according to a new study by Children's Hospital of Philadelphia published in the Journal of the American Medical Association. The study looked at two wearable baby monitors, the Owlet Smart Sock 2 and the Baby Vida. These devices are worn on your baby's leg and monitors the baby's heart rate and blood oxygen levels. If something is wrong, it can alert the parent via a smartphone notification. The study found that the Smart Sock 2 sometimes alerted parents that something was wrong even if something wasn't. It also missed times when blood oxygen levels were too low. The Baby Vida fared worse, totally missing unhealthy vital signs. Study leader Dr. Chris Bonafide told Reuters that there is no evidence wearable baby monitors can help prevent sudden infant death syndrome. In addition, he said that their lack of accuracy could actually create problems. First, it could create false alarms that send panicked parents to emergency rooms. Bonafide has experience with this, as he launched the study after treating a baby brought to him due to a false alarm. More seriously, it could lead parents to think their child is okay when they're not. In the study, the Owlet missed nine occasions in which the baby's blood oxygen level was "alarmingly low." It also falsely claimed something was wrong 26 times, though it did accurately catch low oxygen saturation 71 times. The Baby Vida missed 102 times that the blood oxygen level was too low. While it didn't sound any false alarms, it did display low pulse rates when they were normal. Bonafide and his team has been working on studying wearable baby monitors for a while now. Last year, he published a study saying wearable baby monitors may do more harm than good. The study was conducted using a mix of patients that "were sick enough to be in the hospital." Each baby was wearing a medical-grade monitor on one leg and a wearable on the other. Kevin Wurkman, CEO and co-founder of Owlet, says the Smart Sock is intended for in-house use with healthy babies. He says the Smart Sock stands up against an FDA-approved device from Masimo. Wurkman questions the studies' accuracy, saying that it didn't use the same measurements that Owlet was measured up against during its clinical trials. He also questions whether the babies were sleeping while being measured, as movement can alter results. Wareable attempted to reach out to Baby Vida for comment, but it doesn't appear to be a company anymore, with a defunct website and a lack of social media activity for the past two years. While Owlet insists that its Smart Sock is intended for healthy babies to track wellbeing and help parents sleep better, the only way it works is if parents actually trust its results. If there are false alarms that send them to the emergency room late at night or worse, missing a sudden blood oxygen drop, that trust erodes.